Happy National Pretzel Day! MMM…pretzels are my guilty pleasure. That dough, warm, salty goodness with spicy brown mustard…YUM!! Growing up in the suburbs of Philly, I learned that pretzels are somewhat of a big deal! Whenever we’d go to visit my aunt in South Jersey, we’d always have to drive past my dad’s old house and there would be vendors selling pretzels on street corners. Those pretzels always tasted the best! Did you know that German monks created the pretzel in the Fifth century as a reward for children who performed good deeds? 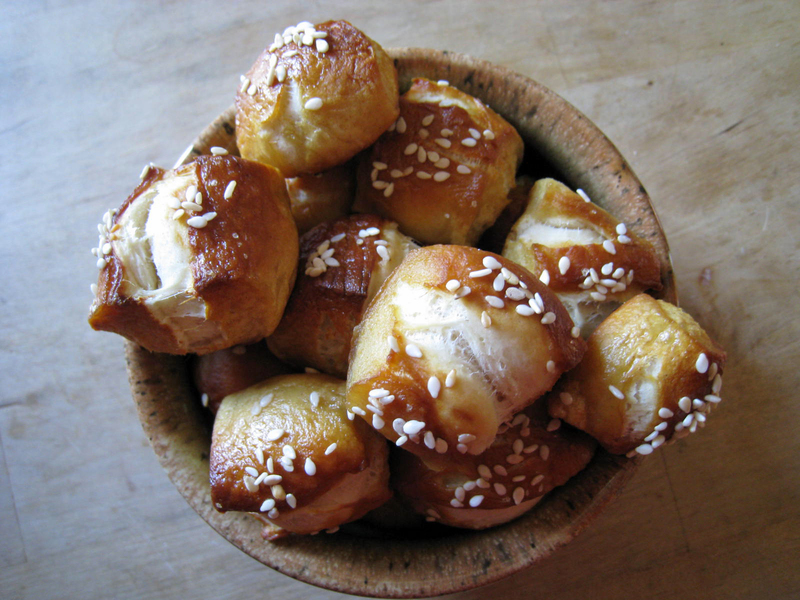 That definitely makes sense since my little one is always on her best behavior when we see a Pretzel factory or I make these pretzels bites!